On April 8, Burger King New Zealand removed an Instagram advertisement for their Vietnamese Sweet Chili Tendercrisp Burger after being accused of racism, insensitivity and general ignorance, according to BBC. 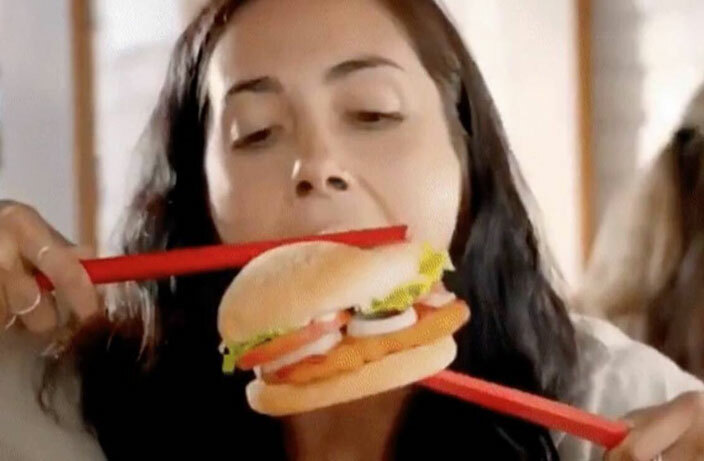 The promotional video featured Western-looking men and women attempting to eat hamburgers with oversized red chopsticks. The actors used the giant chopsticks, one in each hand, to enthusiastically eat the Vietnam-inspired burger. Shortly after the video was published, it received a hailstorm of angry comments from unimpressed netizens on Twitter and Instagram. Even Weibo users got in on the smack talk, taking a more humorous approach. This comes several months after Dolce & Gabbana had their own racially insensitive blunder, where they hired a Chinese model to eat Italian food with chopsticks. In the midst of the internet storm, some netizens pointed out the silliness of the backlash. Their arguments seemed to fall on deaf ears, however. At the moment, a Burger King boycott is slowly gaining steam under the hashtag #burgerkingracist. Have you ever eaten a burger with chopsticks? Let us know below in the comments section. Video of a tourist getting pushed out of the way by the Queen's Guard at Windsor Castle goes viral on Chinese social media. Newly published diaries by Einstein reveal shocking racist attitudes towards Asians. Commenters accused a Shenzhen court of resorting to Baidu Translate for its signage. WeChat is facing backlash over its translation software. The late British physicist had millions of fans in the Middle Kingdom, many of whom mourned his passing on social media.